The seafloor spreading theory is one hypothesis introduced to suggest a mechanism of controlled CO2 levels in the atmosphere, causing the observed variations between warm CO2-rich greenhouse intervals and cold CO2-depleted global cooling intervals. 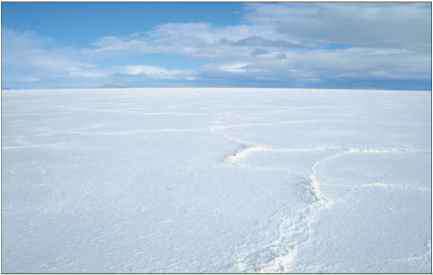 This theory focuses the control of CO2 levels on plate tectonic processes. During plate tectonics, carbon is cycled endlessly between the Earth's interior and its surface. It is this cycling of carbon in different stages that defines whether global warming or global cooling intervals predominate. and island arc volcanoes. These active volcanoes actively spew CO2 into the atmosphere around them. Volcanoes formed by hot spots in the ocean floor are another location where large amounts of CO2 can be released into the atmosphere. The Hawaiian Islands are an example of this. Formed over a stationary hot spot, as the oceanic plate travels northwestward, the island chain is formed one island at a time. Scientists have also determined that the rate of CO2 added to the atmosphere by these processes is also controlled directly by the speed at which continental drift takes place. The rate of spreading determines how much CO2 is released to the atmosphere. When seafloor spreading speeds up, more lava is produced, causing more CO2 to be released into the atmosphere, promoting global warming. Faster spreading rates at the mid-ocean trenches likewise cause the subduction zones (an ocean plate being pushed under a continental plate and melting) to speed up, which delivers larger amounts of carbon-loaded sediments and rock to be subducted and melted again inside the Earth, where volcanoes then form, releasing significant amounts of CO2 into the atmosphere to cause global warming. When plate movements are slower, less volcanic activity occurs, so less CO2 is added to the air, preventing overheating. These conditions would correspond to the global cooling intervals. The rate of seafloor spreading changes over tectonic intervals of tens of millions of years, affecting the rate of CO2 transfer from the Earth's rock reservoirs to its atmosphere. One example occurred approximately 100 million years ago, when the average spreading rate was much faster than it is today. 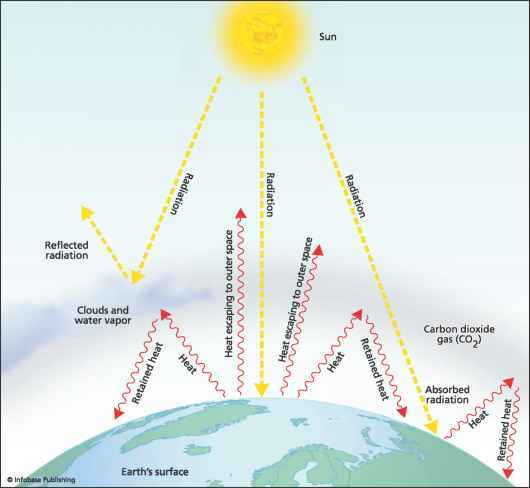 Because of this, the rate of input of CO2 to the atmosphere was much higher, creating a greenhouse world. This theory also matches existing geological data. Ice sheets, for example, did not exist at that time, and this theory offers a possible explanation for that. WHY seafloor spreading more co2 input? Does sea floor spreading release carbon? Does an increase in sea flor spreading cause increased co2? Does an increase in the rate of seafloor spreading increase atmospheric carbon? What is the fastest way for carbon to be delivered to the seafloor?